Playing Bit Parts in Shakespeare is a unique survey of the small supporting roles - such as foils, feeds, attendants and messengers - that feature in Shakespeare's plays. 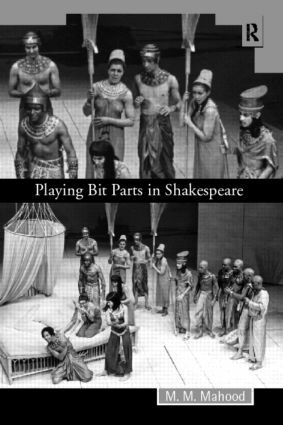 Exploring such issues as how bit players should conduct themselves within a scene, and how blank verse or prose may be spoken to bring out the complexities of character-definition, Playing Bit Parts in Shakespeare brings a wealth of insights to the dynamic of scenic construction in Shakespeare's dramaturgy. This new edition comes enhanced with a new Appendix, 'Who Says What', especially designed to aid directors in making decisions about the speaking parts of the minimal characters. It also comes complete with an index of characters (including line references) as well as a detailed general index. An invaluable aid for directors and actors in the rehearsal room, this perceptive and informative volume is equally of interest to students studying and writing about Shakespeare's plays.